The Thor off-roader will be the first four wheeler that Mahindra will launch in the United States. The Thor will be produced at the Indian automaker’s new factory at Auburn Hills, Michigan. The off roader will be based on the Thar platform, according to Autocar Professional. The Thor will use a 1.6 liter turbocharged diesel engine that is also seen on the Ssangyong Tivoli. This diesel engine will also be seen in new Mahindra vehicles for the Indian market, such as the U321 MPV and the S201 compact SUV. The Thor will be a recreational vehicle which means that it cannot be registered for use on public roads. It will be similar to the ATVs that are sold in India, which can only be driven off the road, or in private properties. The Thor is projected to have a 5/6 speed manual gearbox and a four wheel drive system. It has been developed by Mahindra’s North American technical center in Detroit. An India-launch for the Thor has not been announced. What we may however see is the 1.6 liter diesel engine eventually landing into the Mahindra Thar sold here. We say this as the 1.6 liter diesel is said to be Euro VI emission norms-ready. By 2020, India will move to the Bharat Stage VI (BS6) emission norms, which is similar to Euro 6. 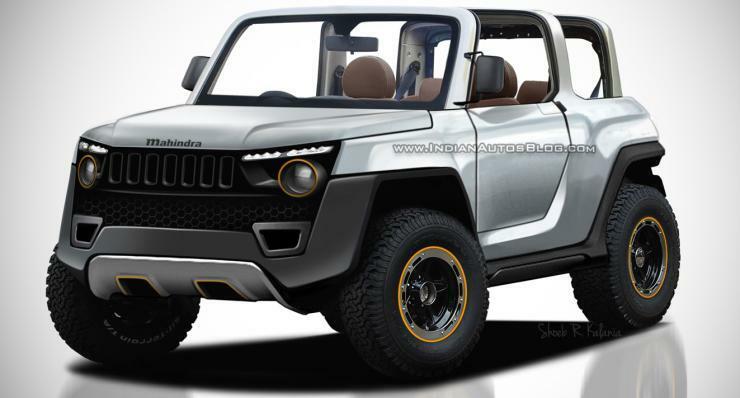 When this happens, Mahindra may upgrade the Thar with the new 1.6 liter diesel engine as the current 2.5 liter diesel engine may not be suitable for the stricter emission norms. The transmission from the Thor may also be used on the future Thar. Mahindra is looking at the North American market seriously for the second time. In its first attempt, the company got stuck in litigation with American dealers after a failed launch of the Mahindra Scorpio-based pick up truck. This time around, the company has set up a full fledged production facility in North America as well as a research and development center. This should give Mahindra a better chance of cracking the demanding North American market.